Hessle Pet Services can offer you a tailor made solution to pet care to fit in with your lifestyle. 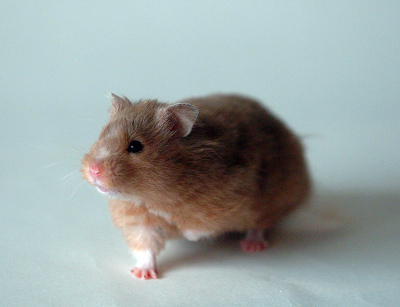 We can cater for hamsters, rabbits, guinea pigs, fish and other small animals. Cages will be cleaned, water changed and food given. Some dogs dislike kennels immensely and are happier cared for in their own home. We can either keep your dog company in the evening & return early the next morning or stay overnight in your home. Your dog's routine will be kept to as closely as possible and they will thrive with the exercise and attention. I was just 12 when I become a dog owner, from that day on I know I was hooked. Since then my life has always been shared with at least one pet, and I feel lucky to have enjoyed the pleasure, companionship and support that owning a pet provides. My own family is currently home to a dog and three cats, and over the last 20+ years we have had various dogs, cats, fish, hamsters and even a hedgehog. Owning a pet is more than just sharing your home to an animal, it's welcoming it as part of the family, I understand that feeling and will do my utmost to make sure your pet is looked after to the same standards of care I provide for my own 'extended family'. Pets contribute a lot to your family, speak to Hessle Pet Services so we can provide you with the peace of mind you seek. Hessle Pet Services was born out of a need to provide good quality pet care for the modern family. Throughout my working life I found it a struggle to find good quality pet services that I could rely on that fitted around my schedule. As I came to a natural break in my career I decided that the time was right to provide the service I had missed out on. Hessle Pet Services covers Hessle and the West Hull Villages and has flexible professional services to suit all your needs and pet type. My first dog was a crossbreed, she was rescued and came with a wealth of 'issues'. These 'issues' introduced me to the world of obedience training for dogs and in addition to my own dog I trained and exhibited many other dogs. A few years later I started breed ring craft training with her in order to learn how to handle a pedigree dog in the show ring. I went on to win many club competitions which when you're young is great fun! My dog handling skills were noted and it wasn't long before I was asked to handle other peoples’ dogs in the ring. 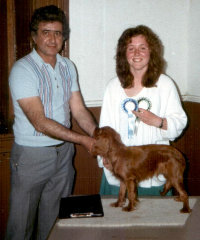 I exhibited a variety of breeds up and down the country including Bullmastiffs, Cavalier King Charles Spaniels, a Shar Pei and a Bouvier des Flanders. This is how I was able to buy my first Airedale Terrier. Throughout my teenage years I walked dogs before and after school but at that stage never considered it as a career. Libby was my first 'Dale', known as the 'King of the Terriers', or to those that have owned them 'the clown dog'. Libby was a beautiful girl and I showed her until she got Pymoetra aged 18 months which unfortunately ended her show career. She went blind aged 3 years due to PRA. A number of people advised me to have her put to sleep but instead I adapted her training to enable her to enjoy a full and active life. I moved to Hull in 1992 and spent a few years volunteering as an Instructor with Hull Dog Training Club until my family demands dictated that I stop. In the meantime I studied Pet First Aid at Bishop Burton College as well as honing my skills as a dog groomer, a service that will be provided at a later date. I have always had both dogs and cats together with the odd small animals introduced to the mix (kept well away from the cats! ), it's been quite a menagerie over time. My family moved to Hessle in 2007 and more recently I decided it was time for a change. Hessle Pet Services has allowed me to turn my life long love of animals into a career. The animals we have shared our lives with have given us many years of pleasure with many moments of happiness and sadness. They become true members of the family, which is why I provide the same care and attention to all my customers' pets as though they were my own. Images & Content - Copyright © 2015 Hessle Pet Services.